Kabwe Warriors will seek to open a new chapter when they renew their old rivalry with 12-times MTN/FAZ Super Division champions Nkana in a mid-week thriller today. 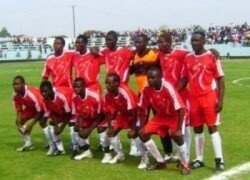 This Week 4 match at Nkana Stadium is expected to open the old wounds inflicted on Warriors by Nkana back in 2014 when the Kitwe giants thumped the railway men 5-0 at the same venue. The return leg match was abandoned after Warriors supporters threw objects on the pitch after Nkana scored, and this led to the shutting of Godfrey Chitalu stadium in Kabwe that season. However, Warriors look focused under Mohammad Fathy and will hope to re-open a new page with a win at Nkana Stadium. Warriors drew 1-1 with Green Buffaloes at home on Sunday; therefore victory in today’s game will be a morale-booster ahead of remaining matches. Meanwhile, the Aggrey Chiyangi coached side is determined to extend their early lead at the summit of the table with nine points while Warriors are placed 12th on two points. Wounded Nkana have promised to relish Warriors with Chiyangi declaring his lads ready for the task. “The boys are ready to take on Warriors. We will not underestimate Warriors, this is one team that gives Nkana a good game. But our target is to collect maximum points,” he said. Chiyangi will look up to Jacob Ngulube, Fred Tshimenga and Walter Bwalya to lead the team to a fourth victory this season. In a Lusaka, Lusaka Dynamos host Nchanga Rangers in a double header at Independence Stadium that will kick off at 13:00 hours and thereafter the match between Green Buffaloes and Lusaka Tigers. Lusaka Tigers have six points after they beat seventh-placed Lusaka Dynamos 1-0 last Saturday. At Woodlands Stadium, Napsa Stars host Forest Rangers. Elsewhere, Lumwana Radiants host Nkwazi while Green Eagles will be away to Nakambala Leopards. Mufulira Wanderers host Mufulira Blackpool at Shinde Stadium. Meanwhile, the matches involving Zanaco vs Power Dynamos and Zesco vs Red Arrows have been postponed due to CAF continental second round first leg fixtures. Zanaco will be away in Tunisia against Stade Gabesien for Saturday’s Confederation Cup second round first leg and Zesco will face Stade Malian in Bamako in the CAF Champions League.